On the basis of performance of the candidates in the online test, Language Proficiency Test (LPT) and biometric verification, the Centre –wise list of finally selected candidates for the above post is given in the link provided below. This list is provisional, subject to the candidates being found medically fit and fulfilment of other terms and conditions as stipulated in our advertisement referred to above. 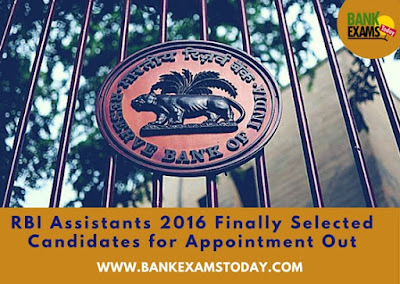 It may please be noted that in the absence of required certificates/documents, candidates may not be appointed in the Bank. Offers of appointment to the finally selected candidates are being sent to their postal addresses available with us. Decision of the Bank in all matters pertaining to selection process shall be final and binding. Disclaimer: Though utmost care has been taken while preparing the list of successful candidates, the Bank reserves the right to rectify inadvertent errors, if any.